The power and flexibility of our online booking system allows you to book appointments in seconds! Your clients can book 24/7 from anywhere. It works amazingly well for meetings, consultations, mini-sessions, boudoir marathons, and any appointment/timeslot based event! 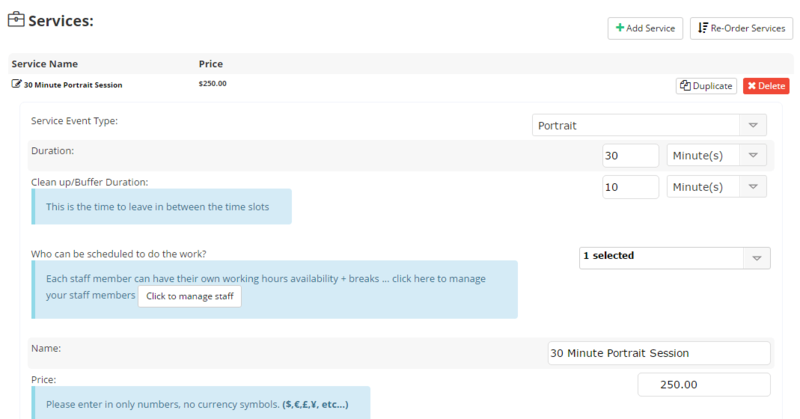 They choose the service, staff, and time slot that they want, you can even have them sign a contract and pay right there! 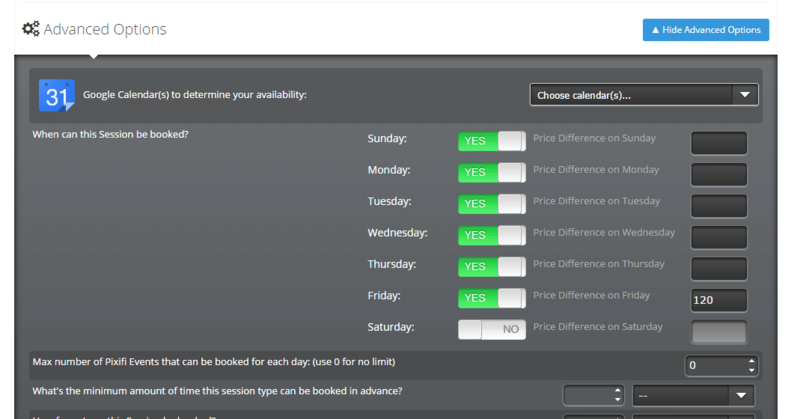 You can even integrate the booking system into your Google Calendar to control availability from there. Your clients book online from any device in seconds! 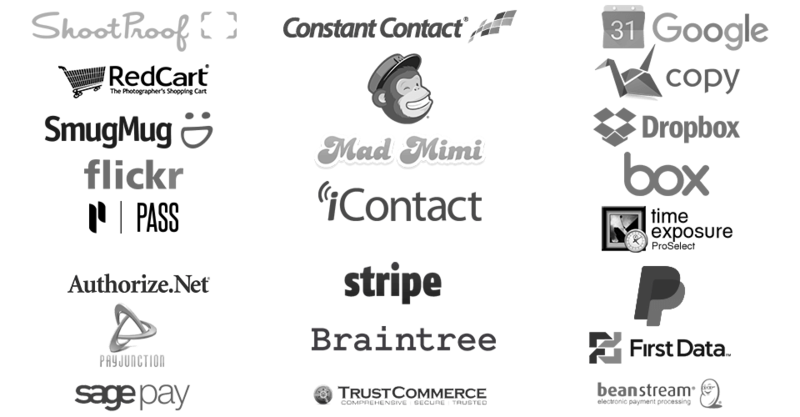 You can also offer add-ons, make them sign contracts, and even pay right away without having to hassle your clients. Appointments can be done automatically or approved manually by you. Soccer practice on Wednesday afternoon? 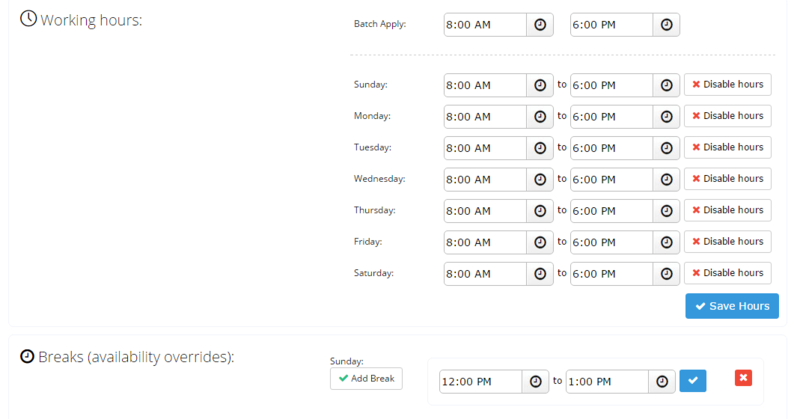 No problem, Pixifi will schedule timeslots around it. Digital Contracts signed in minutes not days. 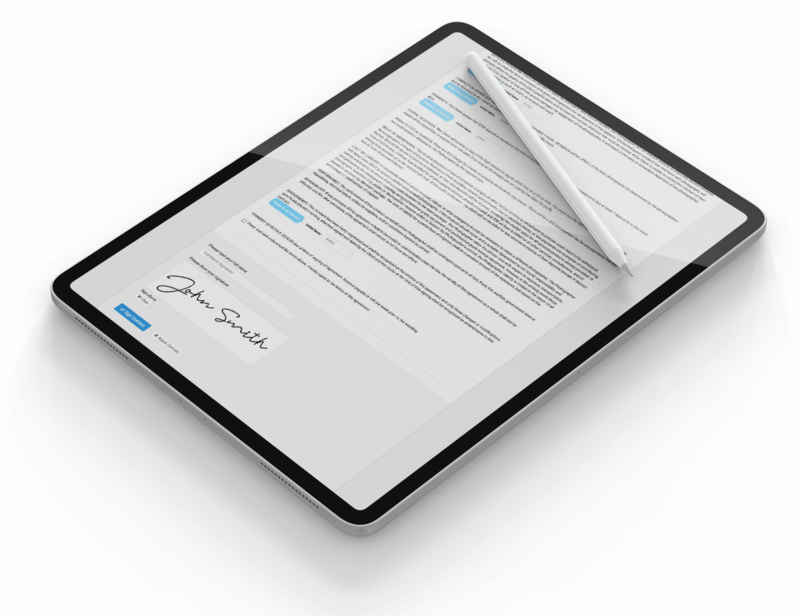 You can easily create contracts and have your clients digitally sign them instantly! We make it easy for you so that you don't have to spend countless hours drafting contracts for all of your clients. You can bring your own templates or use the free contract templates we make available to you. No more mailing contracts! The best part is you can prompt your clients to make their retainer payment after signing. They sign and pay, and you make money while you sleep. and keep tabs on taxes. There's no surprises when it's tax time. 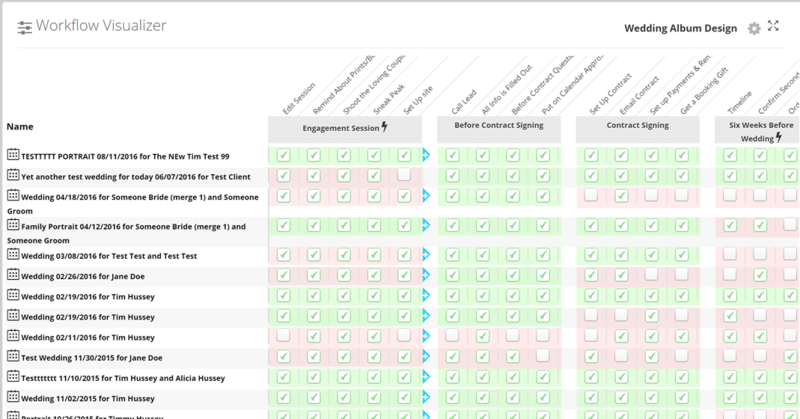 The lead pipeline makes it super easy to manage your potential jobs in a quick drag and drop that can fire off workflows and other automations. You can set it up to auto-e-mail your leads, send them questionnaires and more. 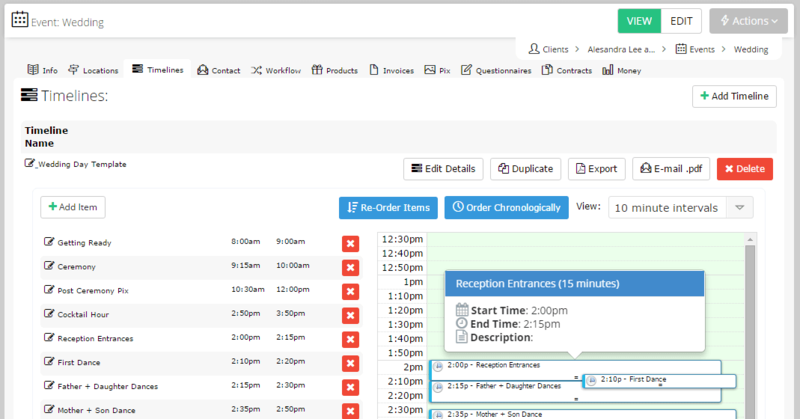 Keep track of the timeline of the day for your events, you can even export and send them to all of your vendors. 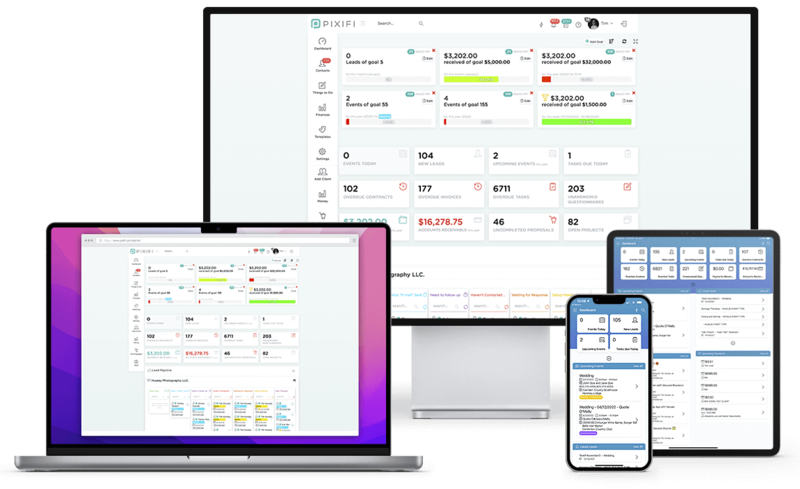 Every day we continually optimize Pixifi to make you work smarter not harder. 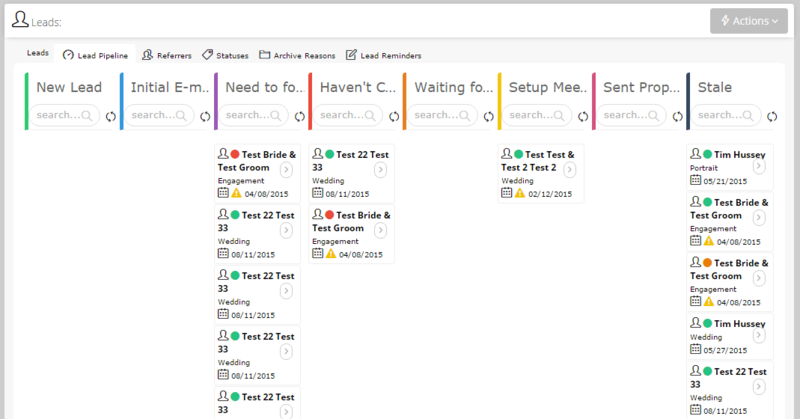 Why do things manually when you can automate them with Pixifi workflows and more? Most dashboards are chosen for you, and don't give you any options. Not with Pixifi! You can see whatever you want where you want it, so when you login, you get everything you need at a glance! We bring the best parts of Pixifi right to your front dashboard.